BEAUTIFUL NEW CONSTRUCTION FOR SPRING MOVE-IN! 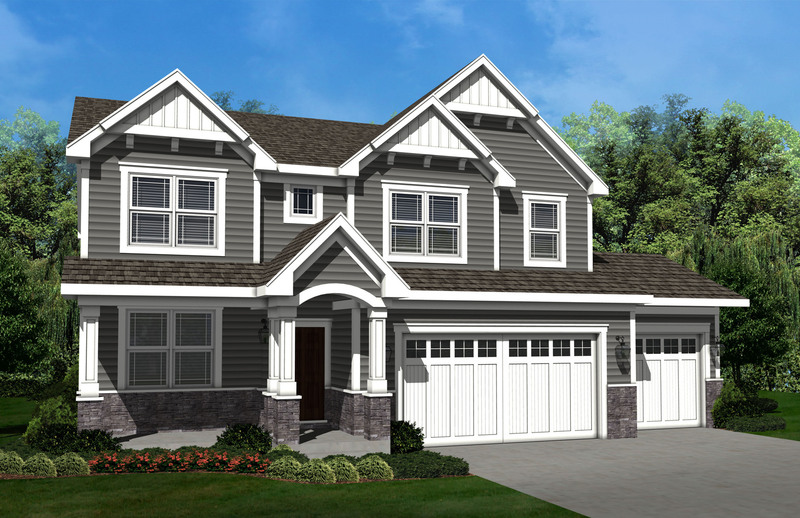 Impeccable 3,279 sq ft single-family home plan design by luxury builder Emerald Homes in Libertyville! Captivating home in the heart of Libertyville boasts 4 bedrooms, 3.5 bathrooms, 3-car garage, and full basement. Luxurious open concept kitchen features a large island with additional storage space, quartz countertops, tall white designer cabinets with crown molding, and stainless steel appliances! Large master suite includes volume tray ceilings, ceiling fan rough-in, and a spacious walk-in closet. Luxury master bathroom with separate shower and soaker tub, ceramic tile, and dual bowl vanity. Laundry room conveniently located upstairs. Elegant architectural shingles, Hardie, and stone beautify the exterior. Home site near downtown and steps from Lake Minear with a fully sodded front yard and professional landscaping. It won't last long! Ask about this smart home's convenient features! S on Milwaukee Ave from Buckley Rd, E on Winchester Rd, S on Ellis Ave to home on right. I was searching on Blue Fence and found this listing. Please send me more information about 253 East Ellis Avenue , Libertyville, Illinois 60048. Thank you.